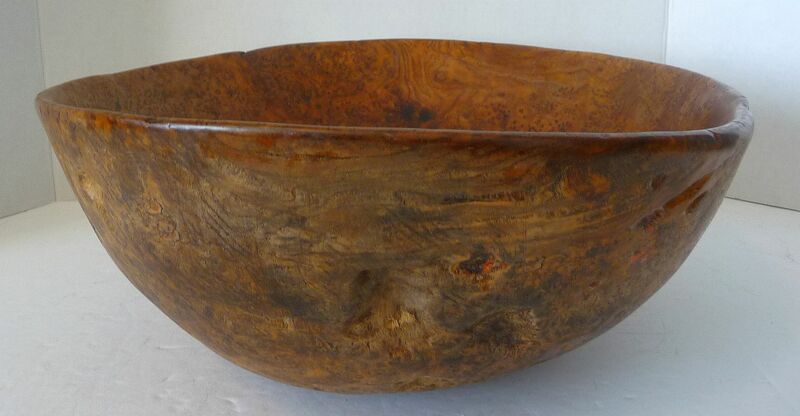 Carved burled wood bowl. 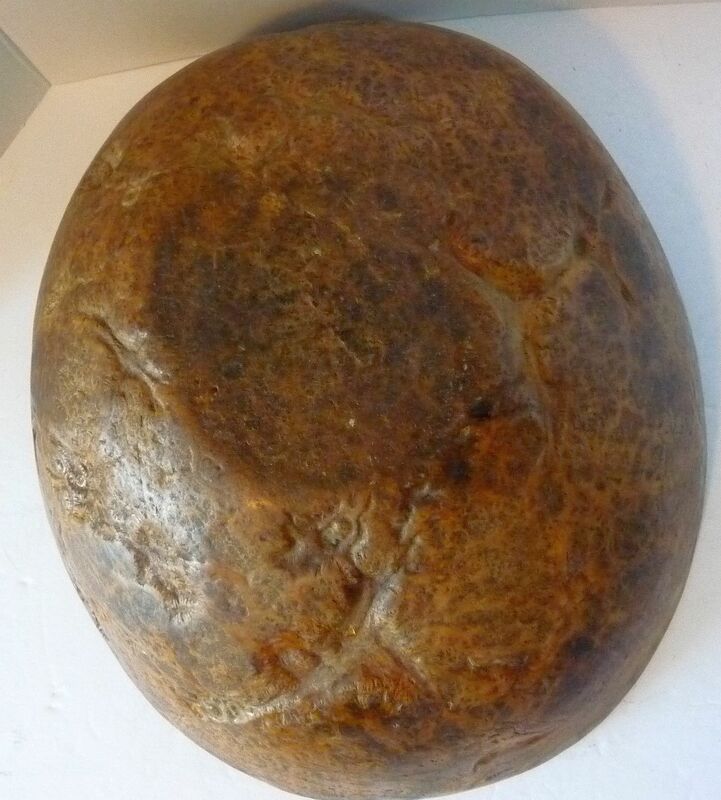 Probably Native American NE Woodlands Indian early 19th century. 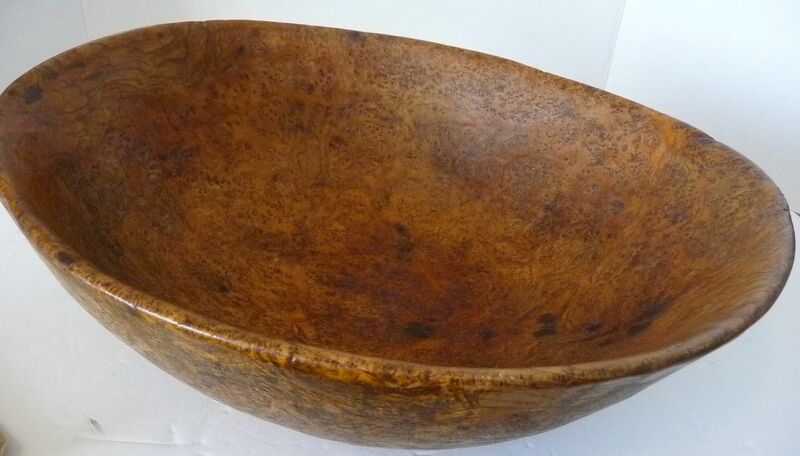 The tightly figured burl with loads of "eyes" shows an unfinished base. Probably maple wood. 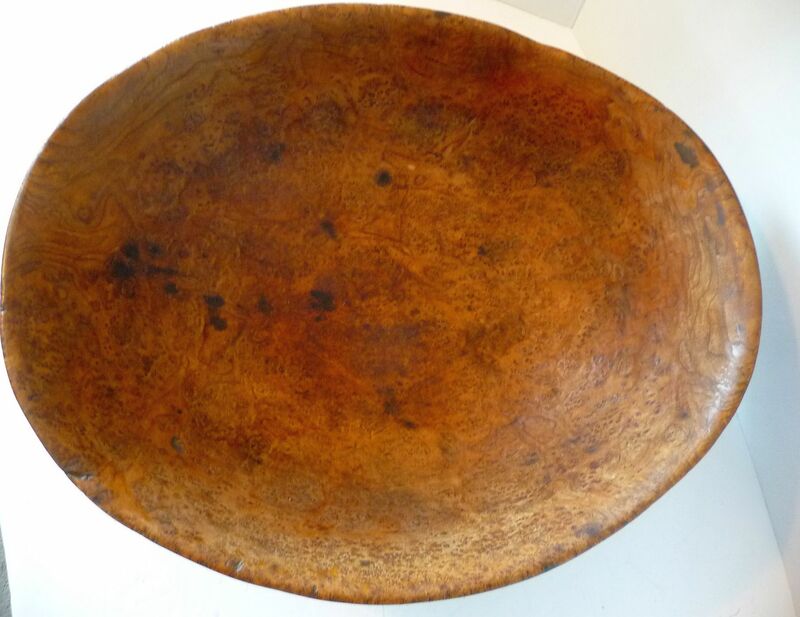 Purchased from a long time collector of burl bowls in NE New York state. Approximate Dimensions: Length 15.5". Width 13", Height 5.25".